For anyone interested in old Canadian genetics, Peter Ulrich has 3 son's of Stanmore 43K in his sale Feb. 26. 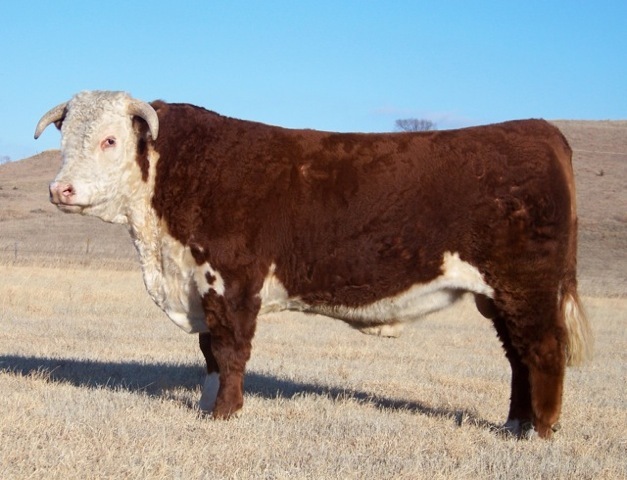 I am a little prejudiced, but if I had straight L1 Herefords I would think about it. It is important to remember that all we do as breeders is remove genes, a calf for better or worse only has half on the genes that his parents had. We try to breed our cattle so that each generation is better than the last but regardless of our best efforts something is always lost. My biggest issue with Line 1 cattle is the way they turn generations so quickly. he cattle may improve quickly but like the hare they run out of steam. From time to time, we need to take a step back and go back to the stuff that we know works. 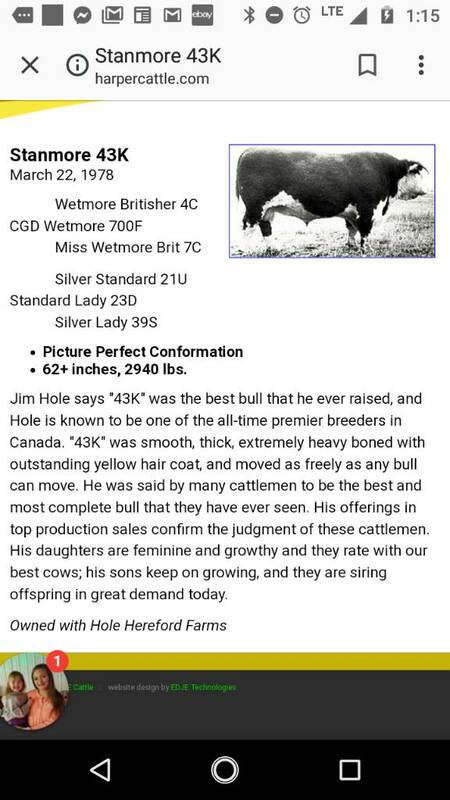 Bulls like Glenn's old time Miles city bull or 43k might not be the best sires but their sons have potential to be great sires.